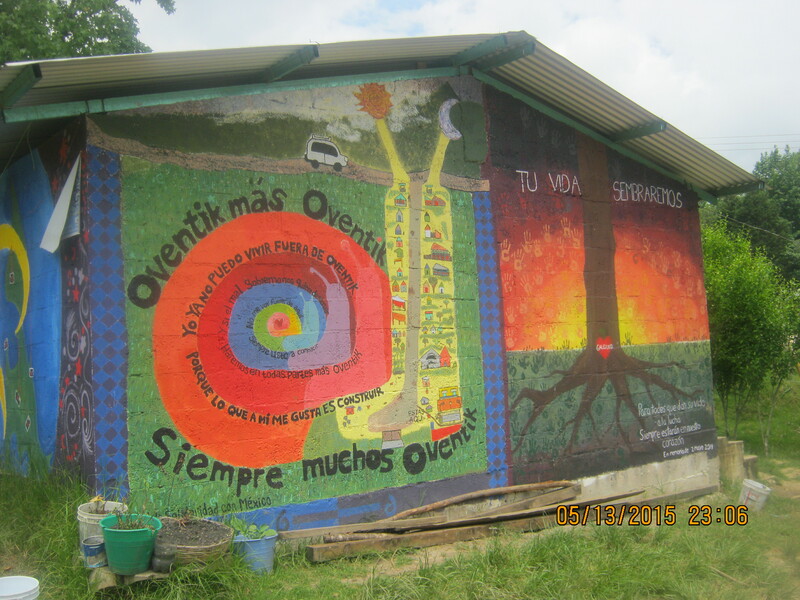 They were thrown out of their ancestral lands (homes) and their possessions burned. 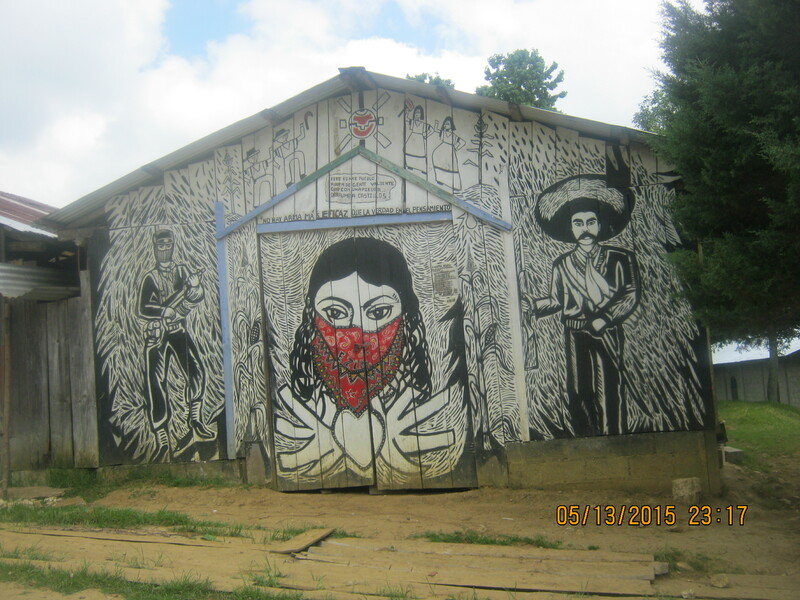 Injustice is still prevalent in Chiapas despite the Zapatista uprising some twenty years ago. They are camping at the square, right now, in front of the San Cristobal de las Casas’ cathedral, as a gesture of protest, and to try to reclaim their land (50 families). The human tragedy: most people who walk by do not see the struggle as their own. They ignore the problem. They have been programmed to do so. The Matrix, a trap for the mind. In fact, it is already doing it to You. Don’t be misled. The Cathedral and the cross to the left do not represent the Christ; they represent a slavery system. For those of you who don’t know, the Zapatista National Liberation Army (ZNLA) was able to establish autonomous territory in Mexico after a bloody uprising on January 1, 1994. The uprising was caused by the extreme poverty imposed on native Mexicans by a corrupt Mexican government. 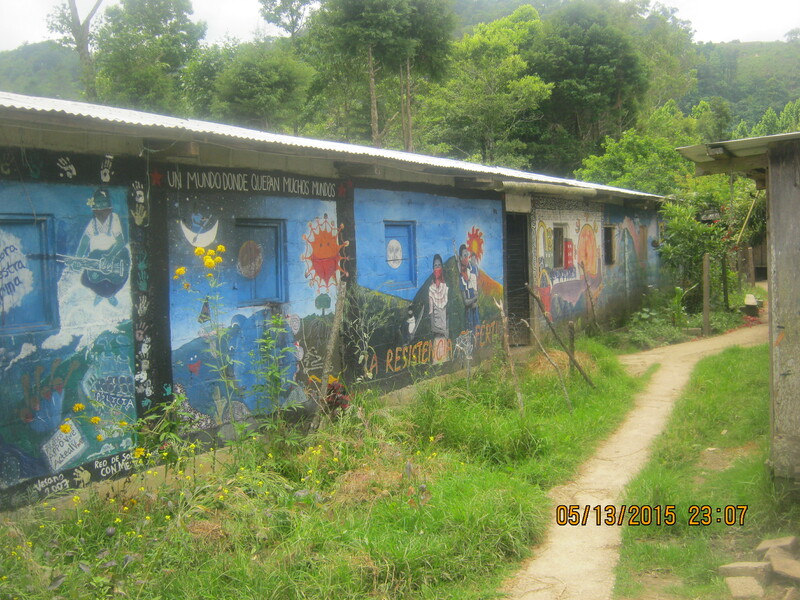 The rebels, led by Sub Comandante Marcos, attacked the palace in San Cristobal de las Casas and demanded land reform and autonomy for the indigenous people. 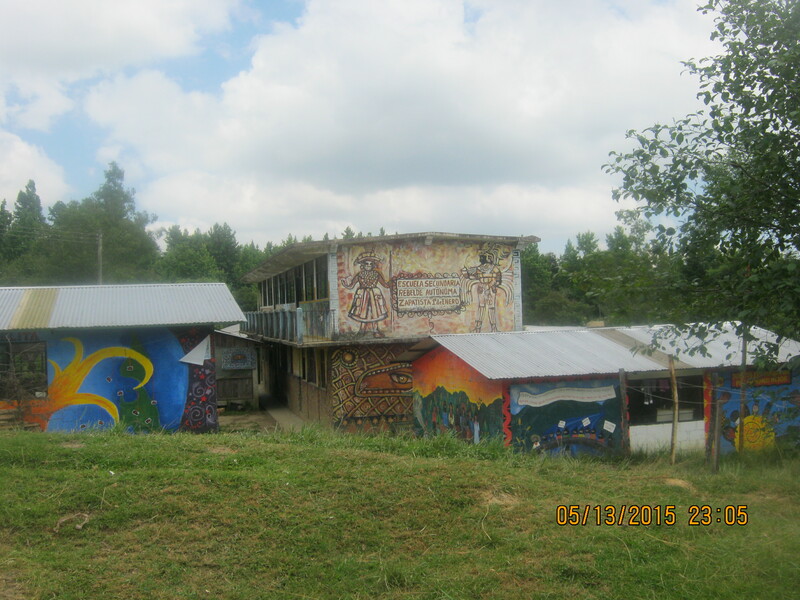 The Mexican government was put in check, and although no agreements were reached and the army and paramilitary groups counterattacked continuously for over ten years killing many rebels and sympathizers, the Zapatistas were able to hold the land they had recovered. And they established a real democracy within a disguised dictatorship, a place where the government obeys a population who now have schools and clinics, something that, to my understanding, they never had before. 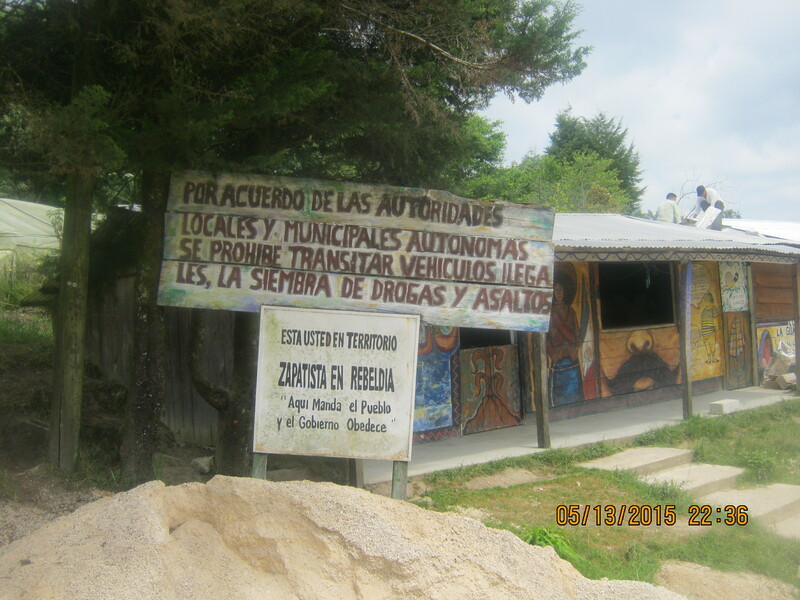 At the bottom, the sign reads: Here the government obeys the people. 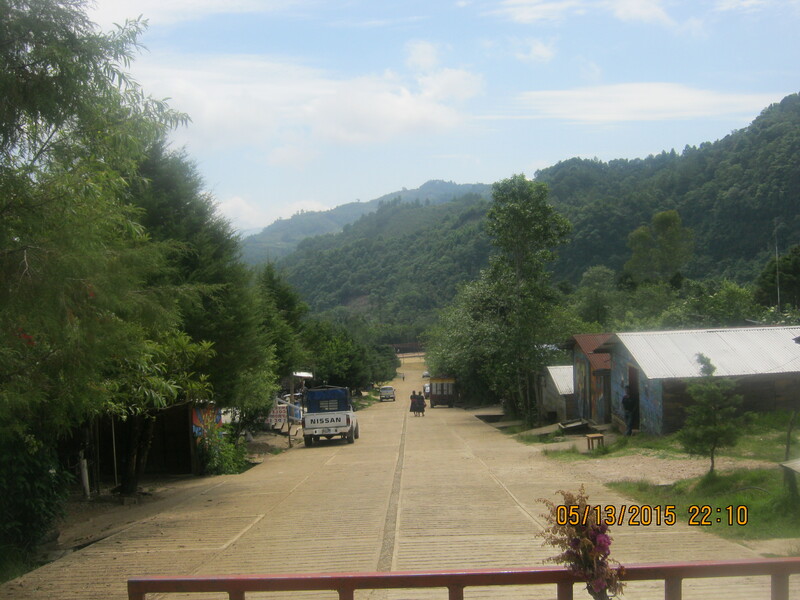 The purpose of my visit was to get to know them, and see how they ran one of their autonomous communities. I wanted to see true democracy in action and leave them a copy of my book, 9/11 La Verdad: Implicaciones, (9/11 truth: Implications). I thought it would be good for them to know that the struggle was global, and that humanity was living a big lie, and was being robbed and killed by the psychopaths who had bought their governments. Therefore, what they were doing was extremely important, an example to the world, what we all should be doing–break away from rotting socioeconomic systems run by psychopathic thieves and murderers. 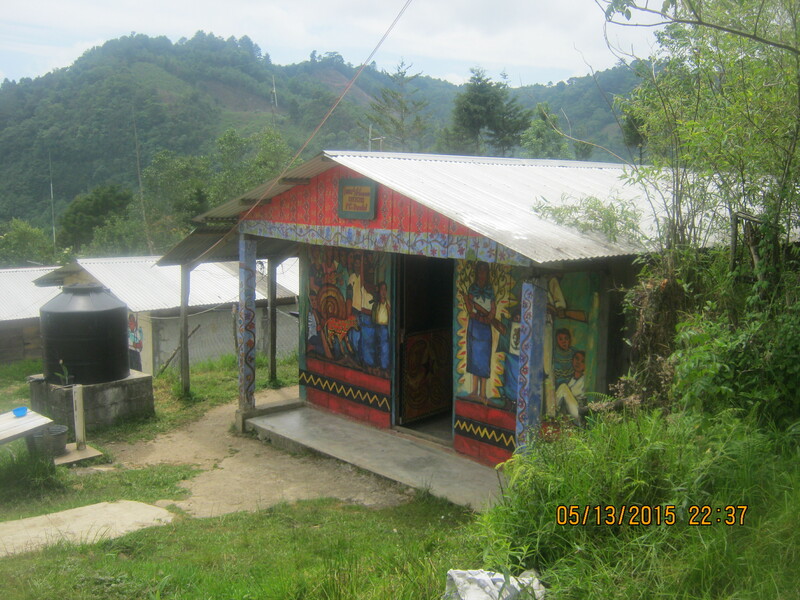 The trip took me about two hours from San Cristobal de las Casas, for I didn’t know where I was going and had to ask for directions several times. I got to my destination around noon, parked close to a construction zone (they were finishing a new building) and approached the gate. The guard asked me the required questions. Where was I from? 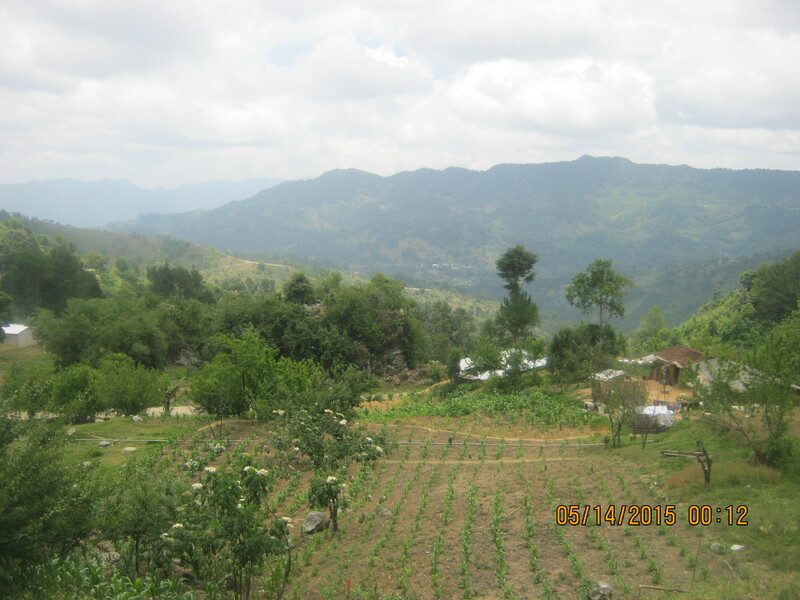 Why I wanted to visit? How long? I had my passport ready but he forgot to ask for it. I told him why I came, signed the registration form and he asked me to wait. After about a half an hour he came back and said they wanted to know what the book was about; I guess even democracies have bureaucracy. I explained that my book exposed that 9/11 had been an inside job (http://ae911truth.org/), but, and more important, it explained what that meant, and how it affected the whole world, even Mexico, and they should be aware of it. I also explained to him that Jade Helm 15 was starting on July 15 and five Walmart super centers had closed their doors in five of the states the military exercise would be taking place. I also told him that that exercise could go live because the elite had big plans for the world and knew that the public was beginning to know. Their agenda included (this had been cast in stone–the Georgia Guidestones) to kill 80% of the population, and that, of course, would also affect Mexico and the rest of the world. Then he left again and I waited for about another half hour. After he came back I was greatly disappointed because he said that I could come in, leave a copy of my book and take pictures, but they were too busy to talk to me. Perhaps this was so because I didn’t scheduled an appointment. (They do have an office in San Cristobal, but I went there three times and nobody answered the door so I decided to take a chance and show up unannounced). The guard let me in through a small wooden gate beside the main entrance and escorted me to their meeting place (la junta del buen gobierno building), where I left a copy of my book and they provided a guide to show me the place. We strolled downhill toward the basketball court while I again explained to my new guide the purpose of my visit, stressing how dangerous the corporate oligarchy was to humanity, and explaining how the banks were the head of the monster. (https://www.facebook.com/nomegabanks?ref=bookmarks) He agreed with me. He was a pleasant person but he also seemed to be a little anxious, so I asked him if they were still under threat from the government, and he said that they always were in spite of the apparent truce. They didn’t allow me to take pictures of them (in spite of the ski masks and balaclavas covering their faces and muffling their voices) for security reasons. I couldn’t blame them; sometimes I thought that I should have been wearing a mask myself. Road into Oventic, You can see part of the small gate at the entrance, beautiful countryside. 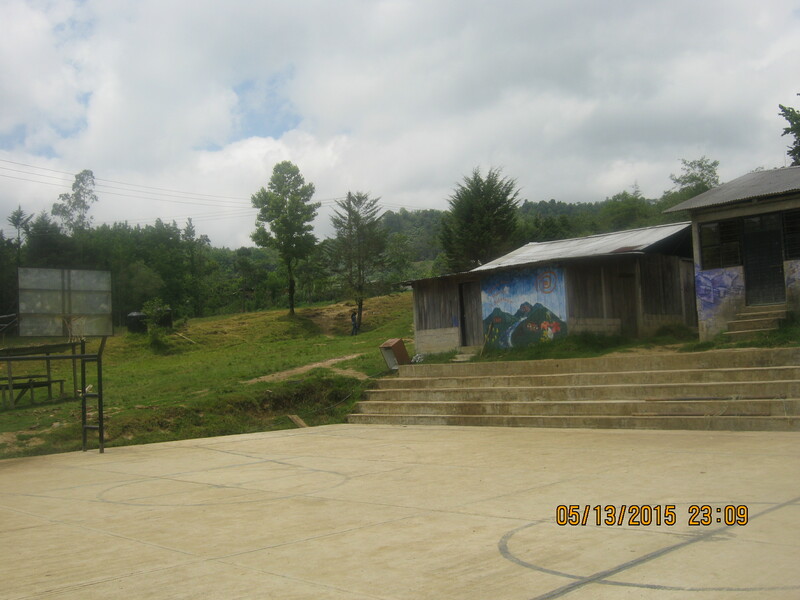 Below are some pictures of their elementary and intermediate schools and the basketball court. 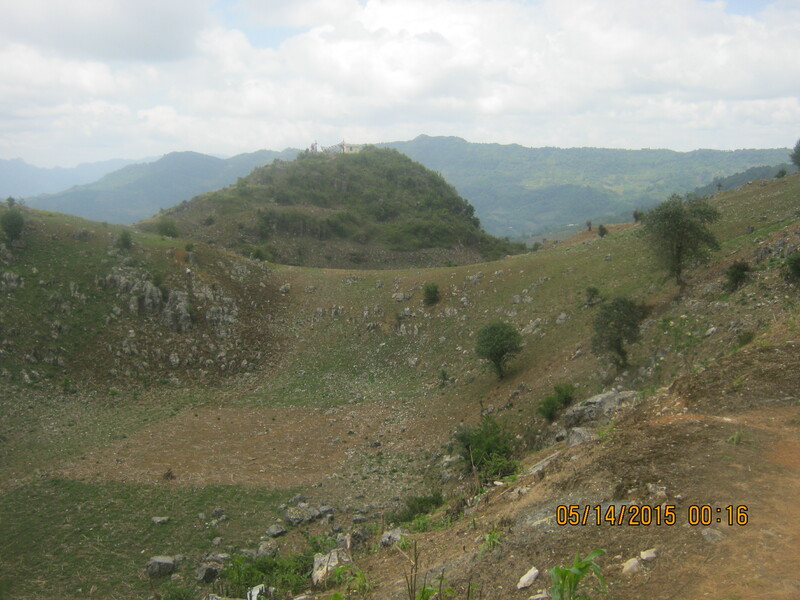 I didn’t see many people or children, but I couldn’t talk to the Junta so I have to let the pictures show you what I saw and leave it at that; assumptions are the mother of screw-up. In a way I felt that I was intruding, perhaps because I didn’t scheduled the visit, so I didn’t ask many questions. 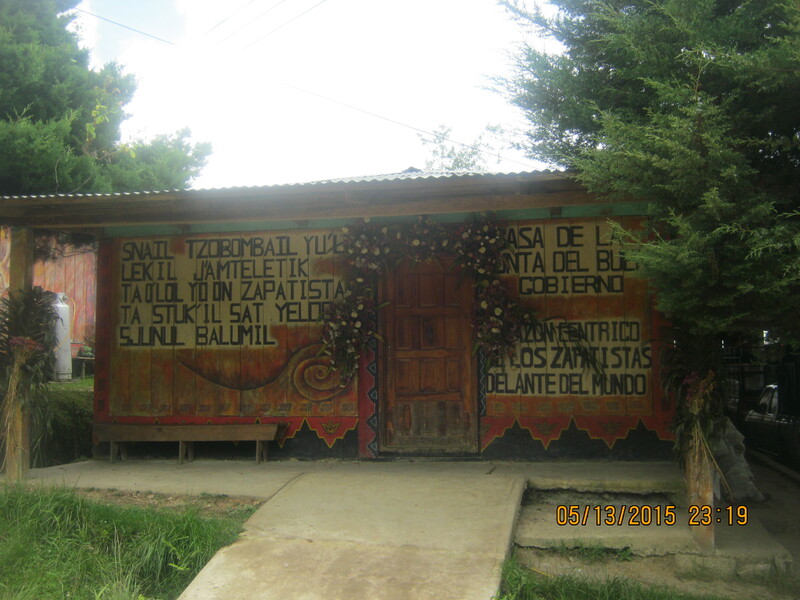 Before I visited Oventic, I asked a resident of San Cristobal about the Zapatistas, and he told me that they hadn’t accomplished much. He seemed to have a bad opinion of the Zapatistas. I think it is understandable that they are small in numbers, not many people are willing to pay the price of freedom, but I dare to say that they have accomplished a lot, considering the struggle they have gone through. The odds were against them, but after more than twenty years, they are still holding their own. Their youth is getting an education with indigenous values, not an indoctrination, and they are no longer part of a dehumanizing program which makes them third class citizens. 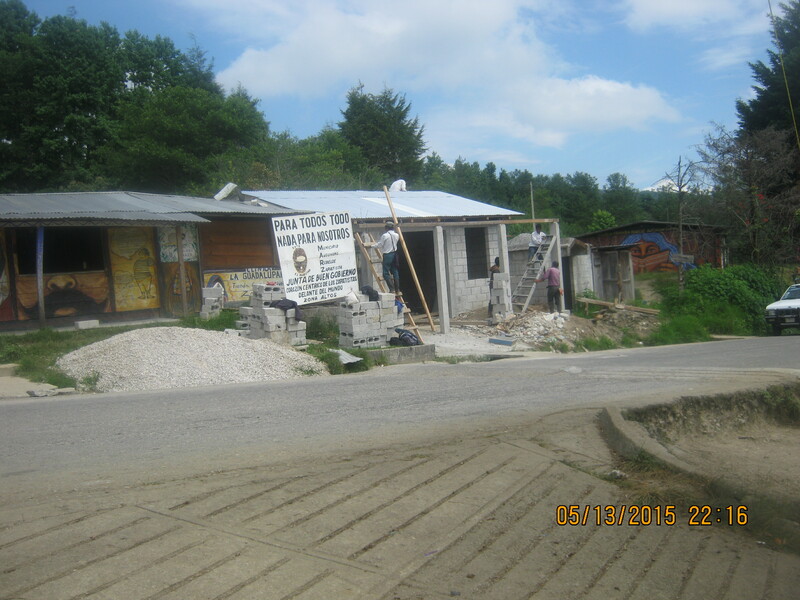 They have the schools and clinics the Mexican government never cared to build. But more than that, they are an example to the world. They are doing what we all have to do, disengage from the scum and criminals who are turning this world into trash. Isn’t that an accomplishment? Are you doing your part? Do you have an opinion? The Real Occupy! 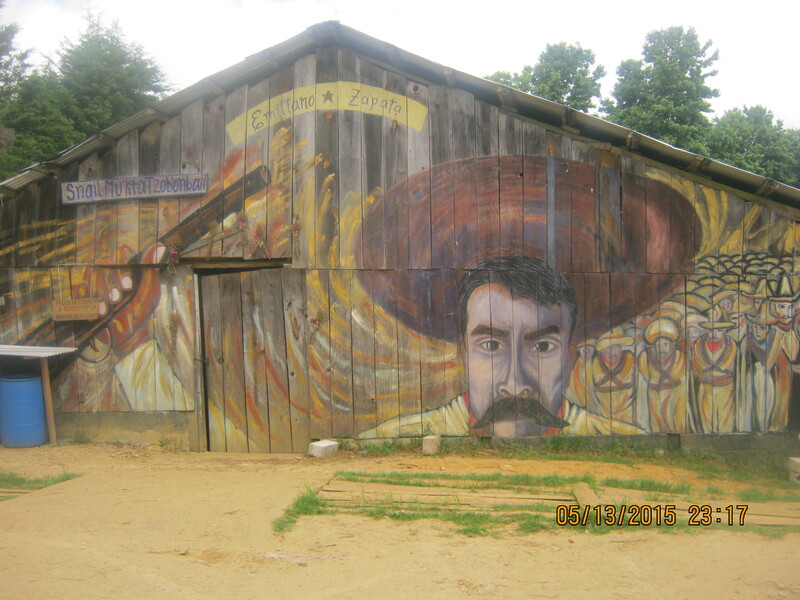 | The Zapatistas! | Change is Possible! “Es nuestra convicción y nuestra práctica que para rebelarse y luchar no son necesarios ni líderes ni caudillos ni mesías ni salvadores. Para luchar sólo se necesitan un poco de vergüenza, un tanto de dignidad y mucha organización.”–From the last speech of subcomandante Marcos. He is not there; we are all there. 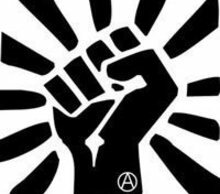 Filed under: Perspective | Tagged: Occupy, Occupy Movement, Zapatista Movement, Zapatista Territory, zapatistas |	Comments Off on The Real Occupy! 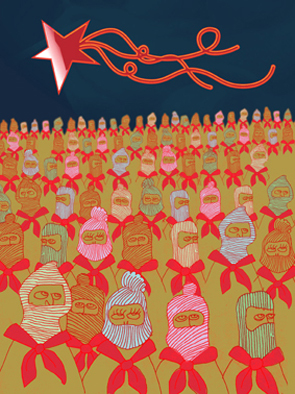 | The Zapatistas! | Change is Possible! Isn’t this great? Somewhere in the world, people are free from tyranny and terrorist governments. 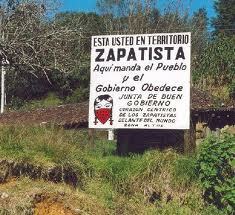 It reads: “You are in Zapatista territory. Here the people rules and the government obeys.